Obituary – Jerome, Helen Winifred (Warren) « Perry High School Alumni Association, Inc.
﻿- is the daughter of Mr. and Mrs. L. A. Warren of near Perry. She will work at Shaw’s Beauty Shop after graduation where she is now employed. In school, she was in the glee club. She was born in Ponca City and has attended schools in Enid and Perry. She was president of the Chorus Club here in 1937 and was the recipient of English and History awards at Enid. 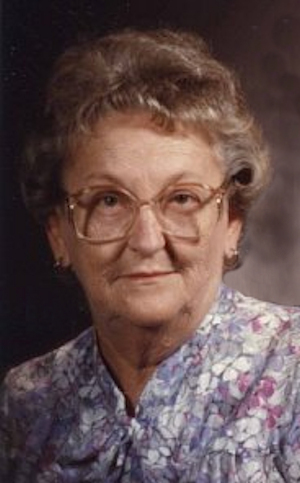 Helen Jerome, 85, of Edmond Oklahoma formally of Orlando, Oklahoma was the daughter of L. A. and Lela (Smith) Warren. She was born June 2, 1921 at Enid, Oklahoma and died Thursday, May 10, 2007 at her home. On November 29, 1939 she and Charles L. (Short) Jerome were married at Perry Oklahoma. Helen worked as a beautician before retiring. She was a member of the Orlando Christian Church. 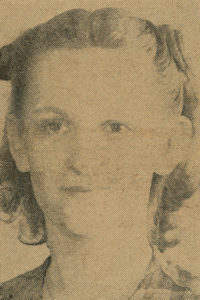 Helen was preceded in death by her parents, one great grandson, Jake Kangas, one brother Bud Warren; and one sister, Ruth Lytie. Memorial services were 11:00 A.M. Saturday, May 12, 2007 at the Brown Dugger Funeral Home Chapel at Perry, Oklahoma. Rev Sam Jerome officiated.